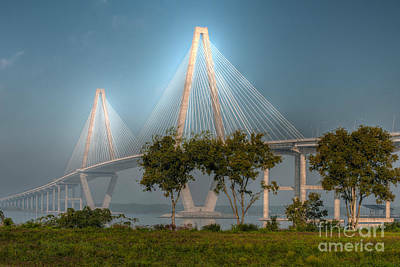 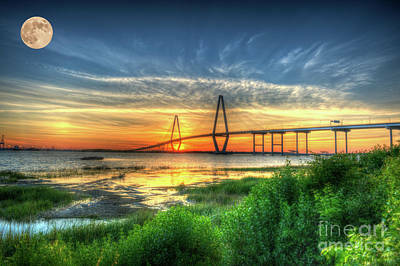 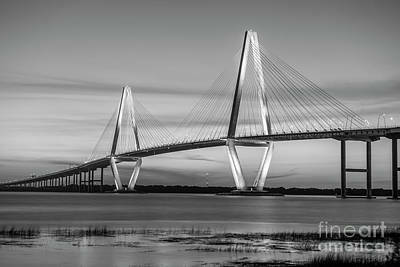 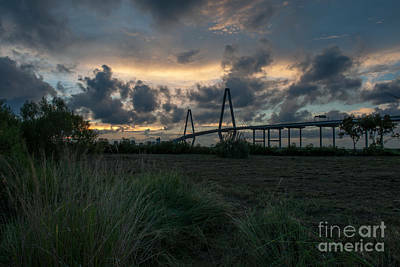 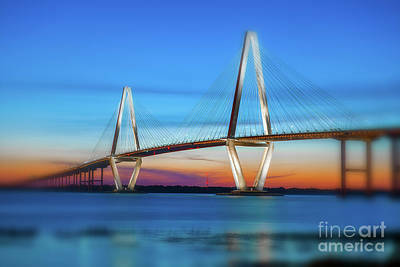 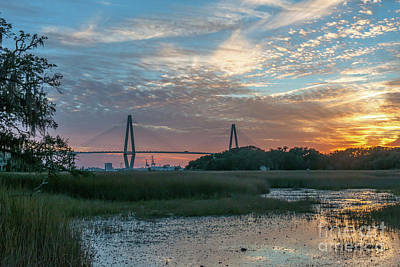 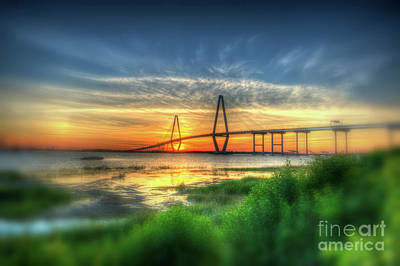 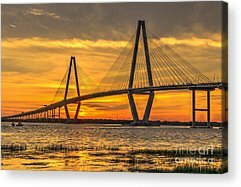 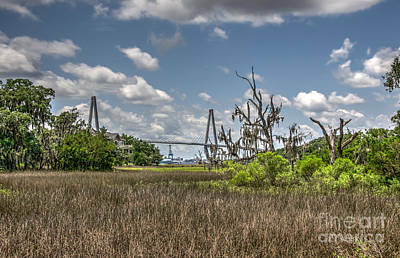 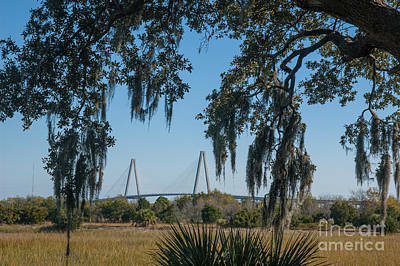 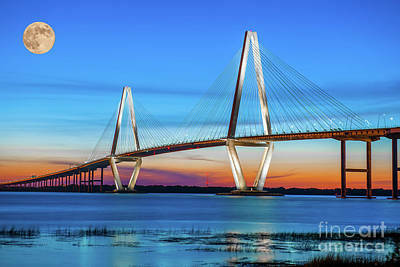 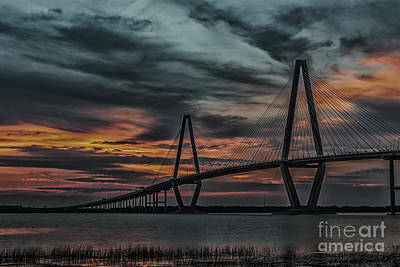 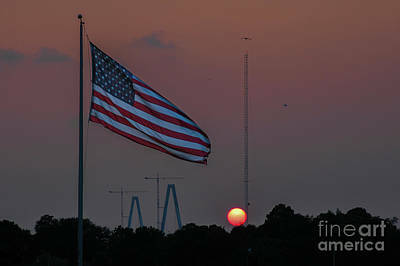 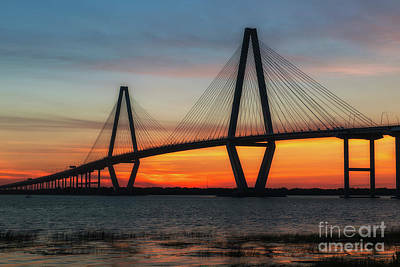 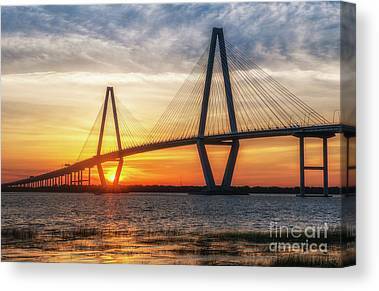 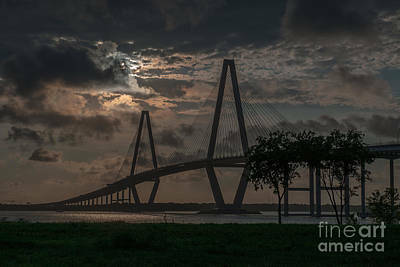 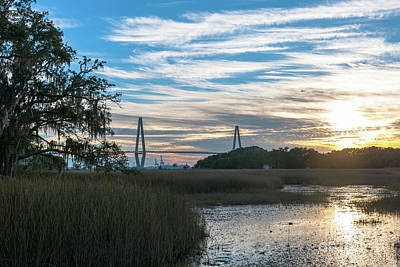 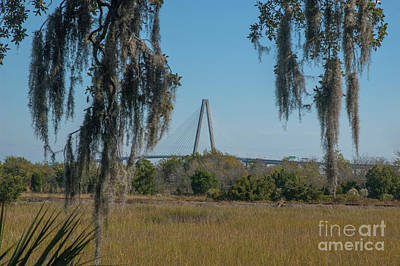 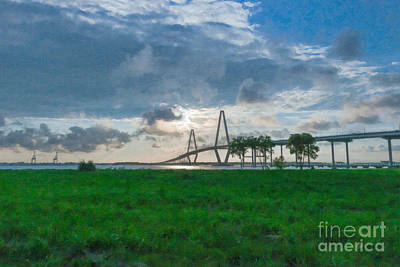 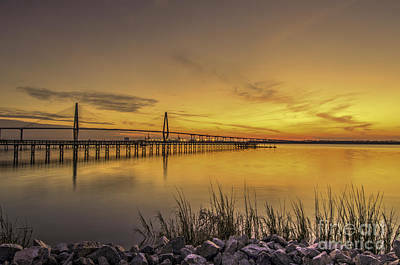 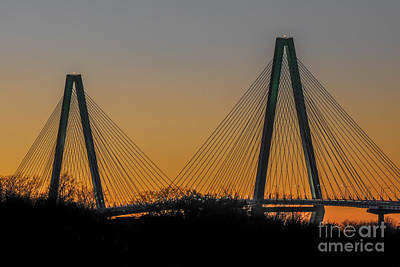 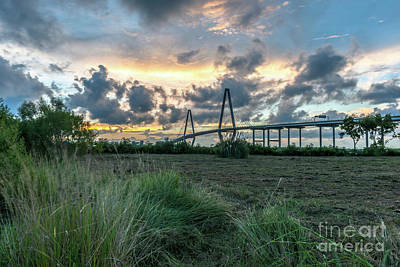 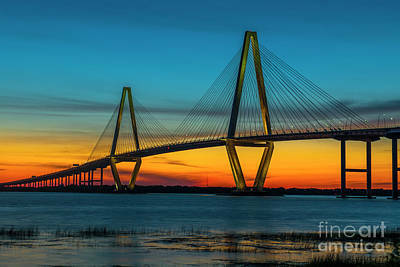 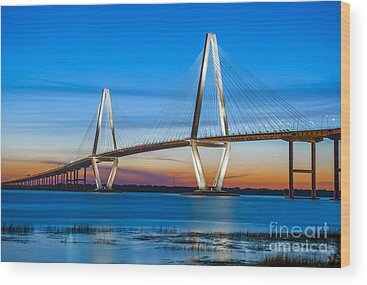 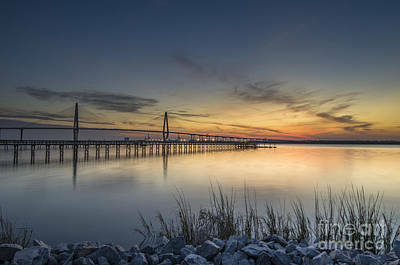 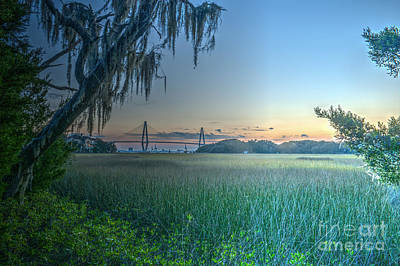 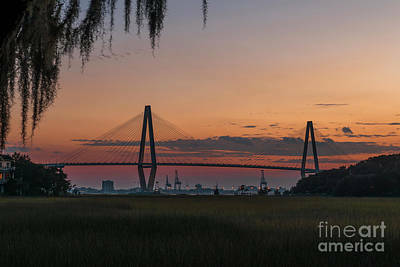 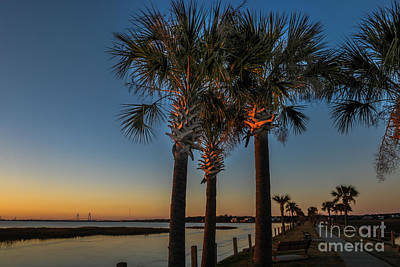 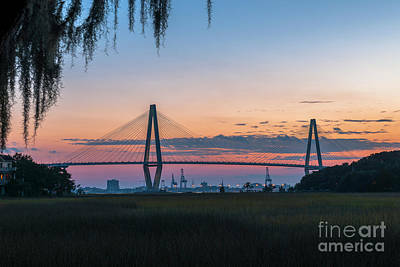 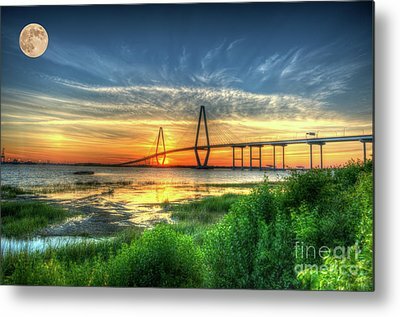 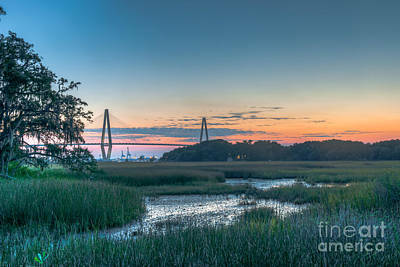 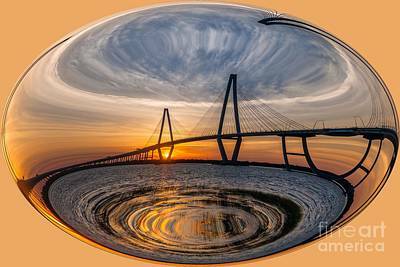 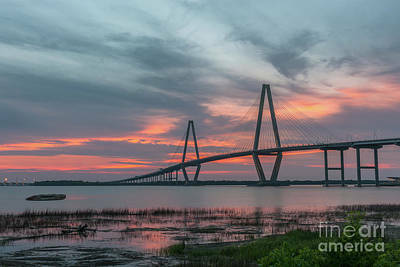 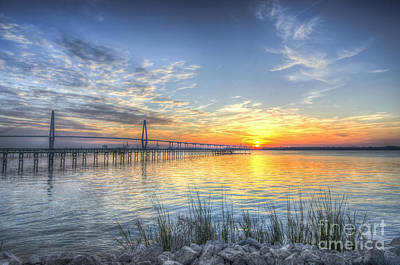 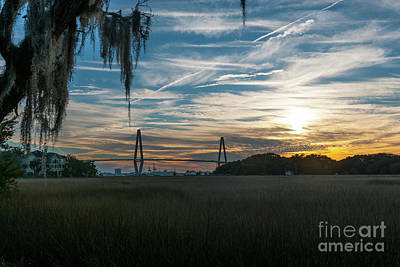 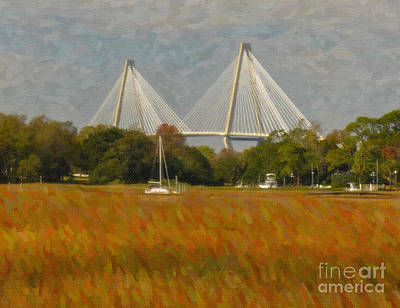 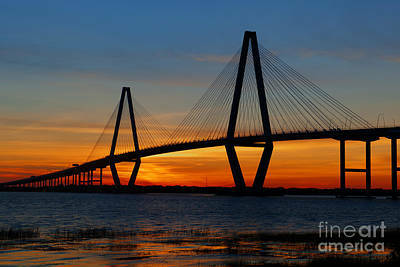 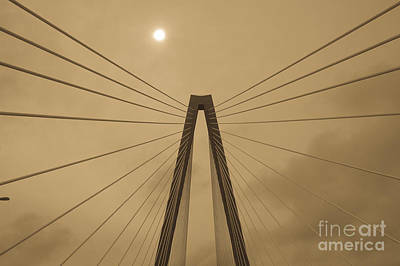 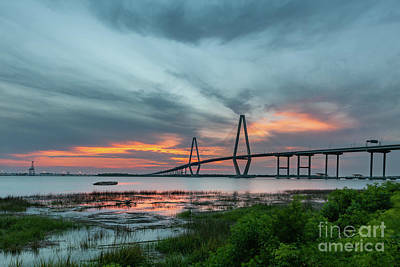 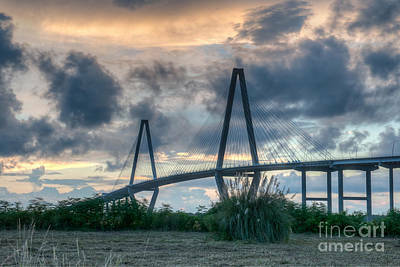 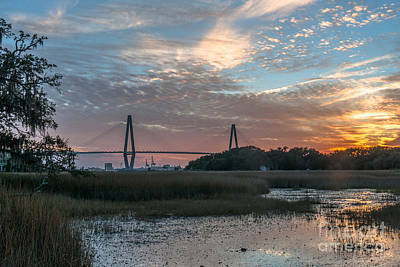 The Arthur Ravenel Jr. Bridge is a cable-stayed bridge over the Cooper River in South Carolina, connecting downtown Charleston to Mount Pleasant. 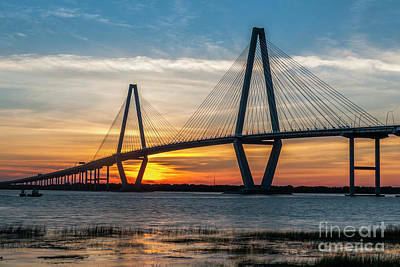 The eight lane bridge satisfied the capacity of U.S. Route 17 when it opened in 2005 to replace two obsolete cantilever truss bridges. 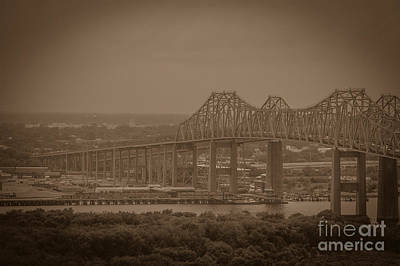 The bridge has a main span of 1,546 feet (471 m), the third longest among cable-stayed bridges in the Western Hemisphere. 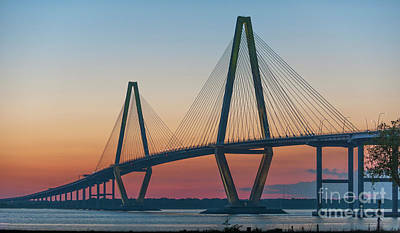 It was built using the design-build method and was designed by Parsons Brinckerhoff. 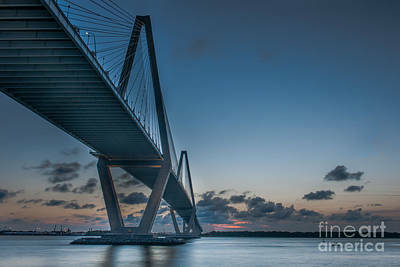 History The first bridge to cross the lower Cooper River opened in 1929, eventually named the John P. Grace Memorial Bridge for former Charleston mayor John P. Grace, who spearheaded the project. 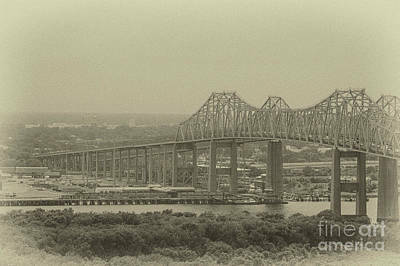 The main span of the double cantilever truss bridge was the fifth longest in the world at 1,050 feet (320 m) and soared 150 feet (46 m) above the river. 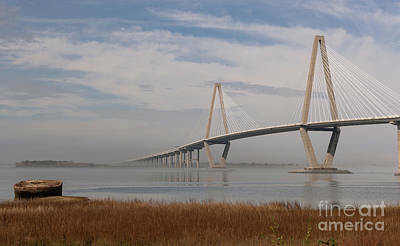 The main span of the second cantilever was the twelfth-longest in the world. 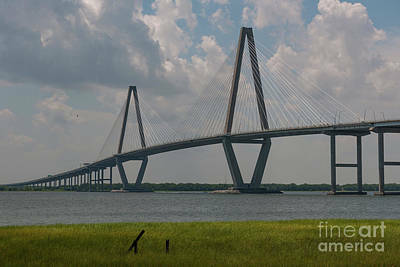 The total length of the structure was about 2.7 miles (4.3 km). 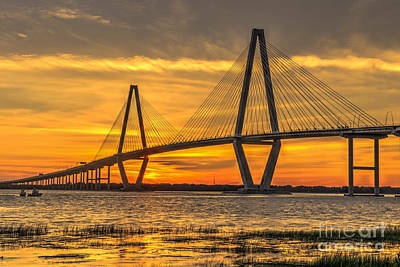 Following a 17-month construction at a cost of $6 million, it opened with a 3-day celebration that attracted visitors from around the globe. 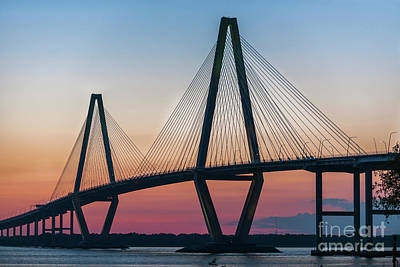 Engineers and critics proclaimed colorful descriptions of the unique structure, deeming it "the first roller-coaster bridge" and citing that "steep approaches, stupendous height, extremely narrow width, and a sharp curve at the dip conspire to excite and alarm the motorist." 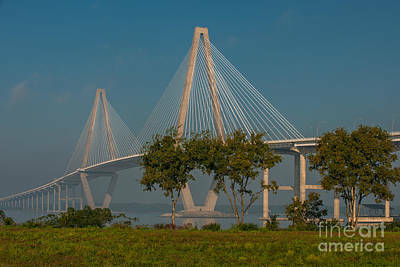 Privately owned originally, a $1.00 toll was charged for car and driver to cross. 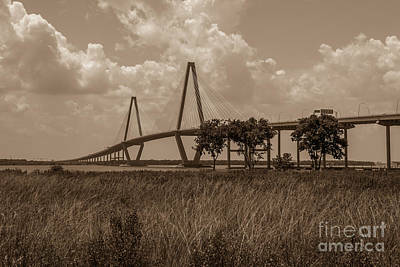 In 1943 the state of South Carolina purchased the bridge, and the tolls were lifted in 1946. 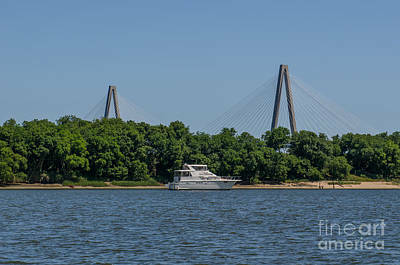 By the 1960s the Grace Memorial Bridge had become insufficient, with its two narrow 10-foot (3 m) lanes built for Ford Model As and its steep grades of up to 6 percent. 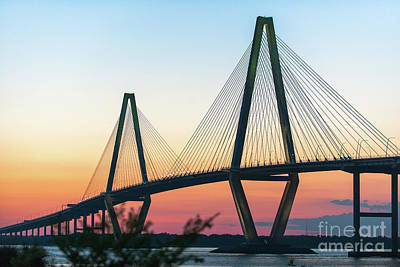 Later changes to the side rail and curb reduced the lane width further. 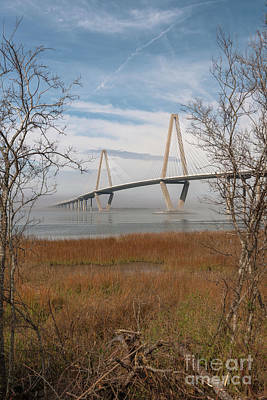 A new bridge was constructed alongside and parallel to it. 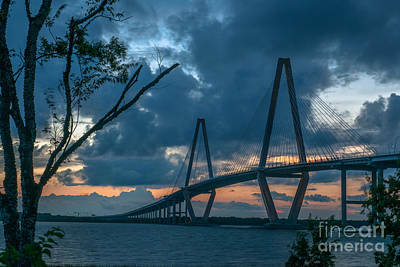 Named for the then-South Carolina Highway Commissioner, the Silas N. Pearman Bridge opened in 1966 at cost of $15 million. 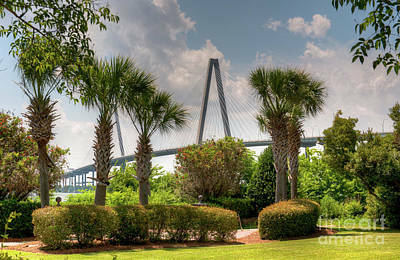 Its three lanes, at a modern 12-foot (3.7 m) width, opened to northbound traffic while its older counterpart carried the southbound traffic into downtown Charleston. 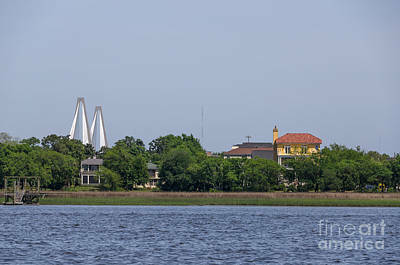 One lane was reversible on the Pearman bridge, which led to signs warning "Use lanes with green arrow" and "Do not use red X lane" on the bridge. 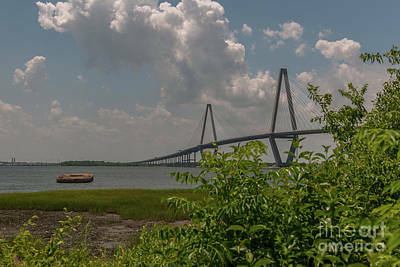 The two truss bridges had become functionally obsolete by 1979. 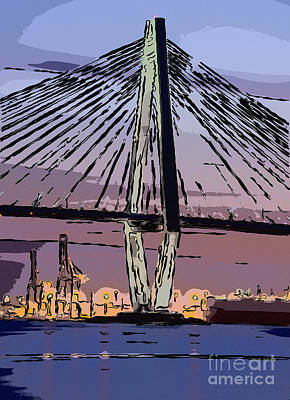 Extensive metal deterioration caused by the lack of maintenance shortly after Grace Bridge's tolls were removed limited the capacity of the older Grace bridge to ten ton vehicles (later five tons), and the reversible lane on the Pearman was eliminated (it had been able to switch to three lanes northbound for rush hour traffic), making that lane southbound permanently, diverting all heavy trucks, buses, and recreational vehicles to that lane on the Pearman bridge. 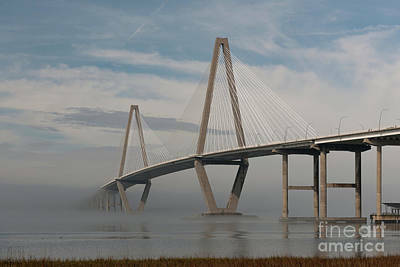 Neither of the bridges had emergency lanes, and the Pearman bridge had no median between the northbound and southbound lanes because of its reversible lane, and it was not until 2002 when flexible barriers were added to the Pearman bridge to prevent head-on collisions. 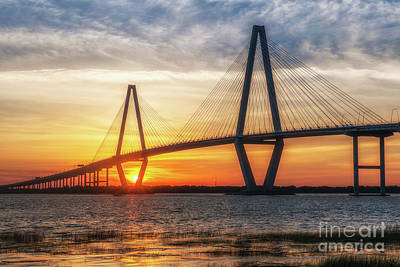 Furthermore, the vertical clearance above the river Ã¢â‚¬â€œ once among the highest in the world Ã¢â‚¬â€œ could no longer accommodate modern shipping vessels. 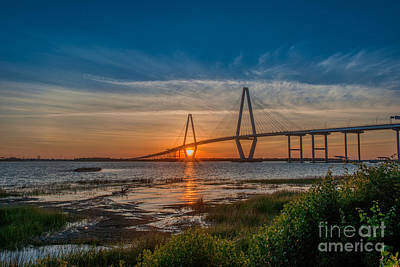 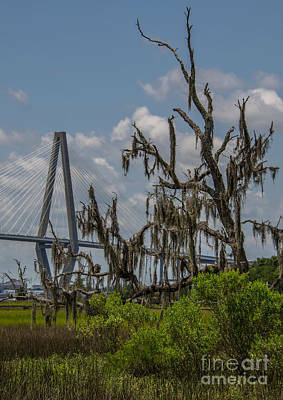 Three of CharlestonÃ¢â‚¬â„¢s four shipping terminals are situated up the Cooper and Wando Rivers, and the limited bridge clearance excluded the access of ships that would otherwise be beneficial to the economy of South Carolina. 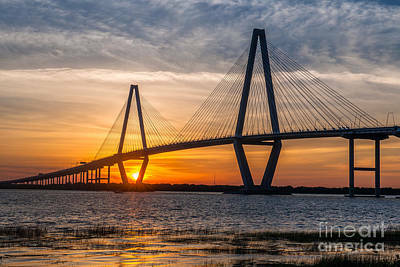 Now that the old bridges are disassembled, the worldÃ¢â‚¬â„¢s largest modern container ships are able to access all terminals of the nation's fourth-largest container port.